With help from local businesses in the community, we can make it as easy as possible for people to donate non-perishable food items and support DreamAlign Ministries' Food Pantry (DAFP). A list of non-perishable food items needed. Please note that your business will be listed on our website as a Donation Location. For your convenience, our volunteers will regularly collect donated items and deliver them to the food pantry. 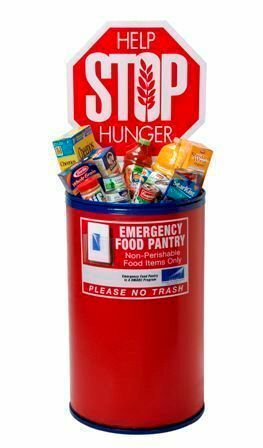 The donation bin(s) should be displayed in an area where employees and customers can easily access them to donate food but where the donations are safe from theft. Be located in the geographic area served by the food pantry (e.g. Graham, Burlington, Mebane, Gibsonville, Elon, Haw River… approximately within 20 miles of DreamAlign Ministries' Food Pantry). Serve as a Donation Location for at least three (3) months. If your business is interested in becoming a Donation Location, or would like more information, please send an email to ContactUs@DreamAlign.com.